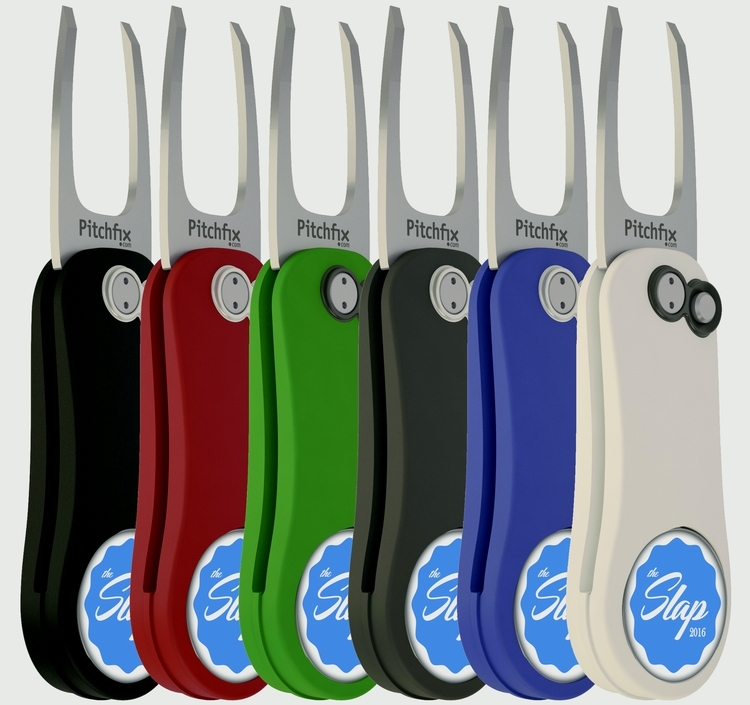 This budget minded swing release tool is available in 6 durable plastic colored handles. 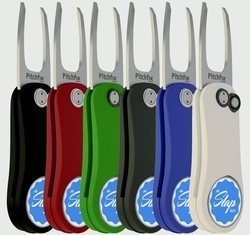 The two prong design coexists with the Pitchfix Hybrid except at a lower price point. Your customized one inch ball marker adds an additional highlight.